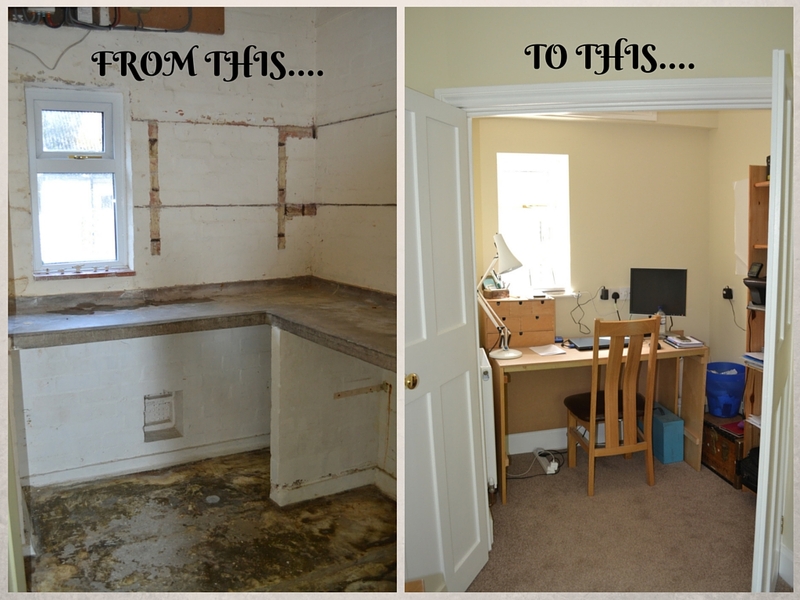 We've been settled in our new 'quarters' for a few weeks now - these photos show just a tiny fraction of what incredible progress has been made. 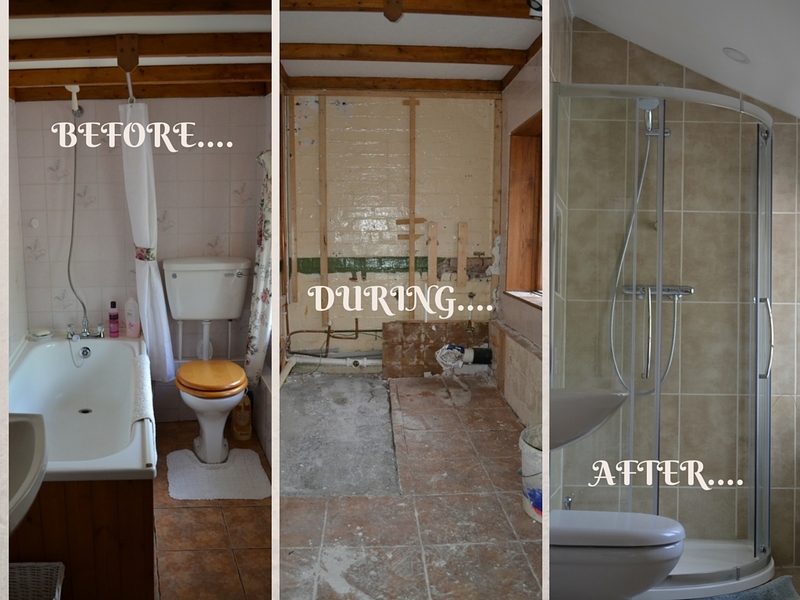 The bathroom was quite a bit wider than it is now but that can only mean one thing - lots of lovely insulation!! (and pipework...). The ceiling's been raised to an angle in line with the pitch roof, giving us much more room in the shower than we'd have had with the original ceiling. We're using the same tiles in the three guest bathrooms so expect a similar look and feel for the en-suites, though the shower cubicles are bigger than ours. The study was a larder with a massive lump of concrete for a worktop, which has been replaced by my MDF makeshift temporary desk. Actually, I call it 'temporary' but it's probably better than anything I've bought from that flat-pack Swedish place! 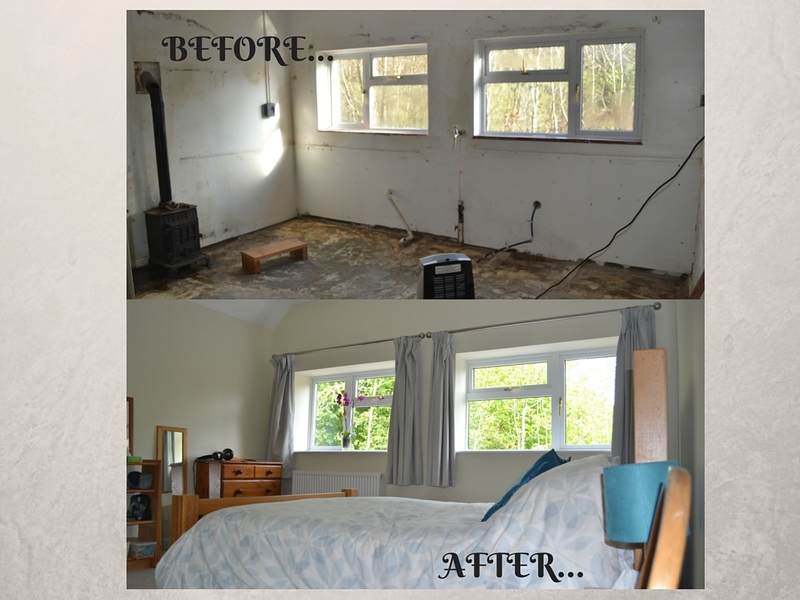 And as I've mentioned in another blog post, our bedroom was the school canteen - and a very damp, cold place which had been used as a store room by the previous owners. Unfortunately the wood burner had been condemned so it's now sitting in the garage waiting to be made into something decorative....garden heater perhaps? ?